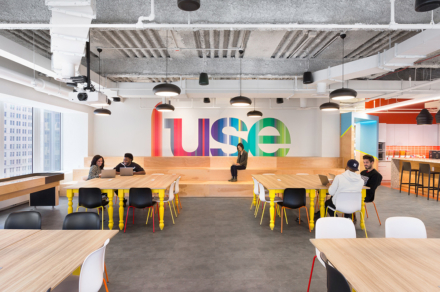 SThree, a global staffing company that provides specialist services in the STEM industries such as science, technology, engineering and mathematics, hired multidisciplinary design firm Fusion Design Consultants, Inc. to design their new sales office in Boston, Massachusetts. 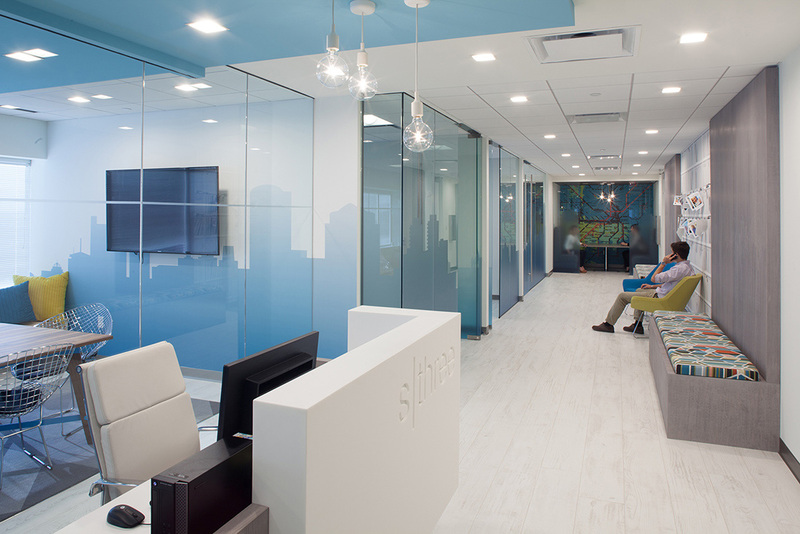 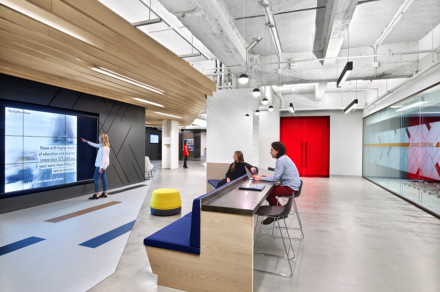 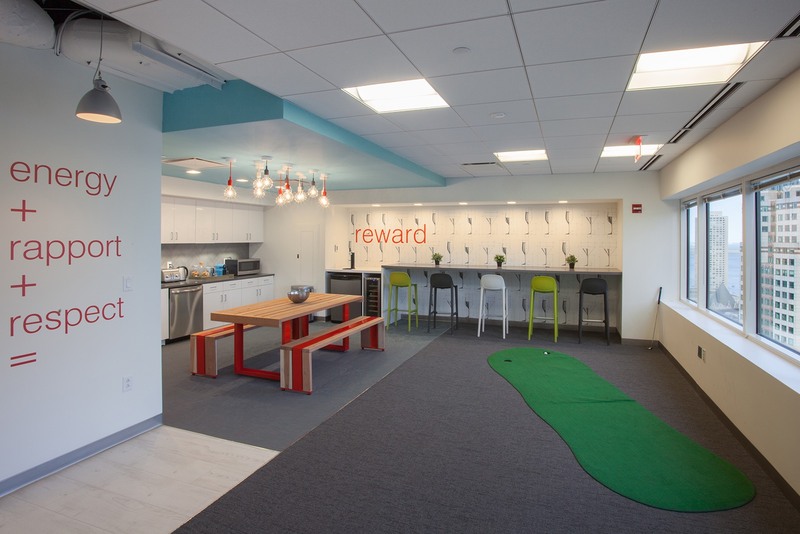 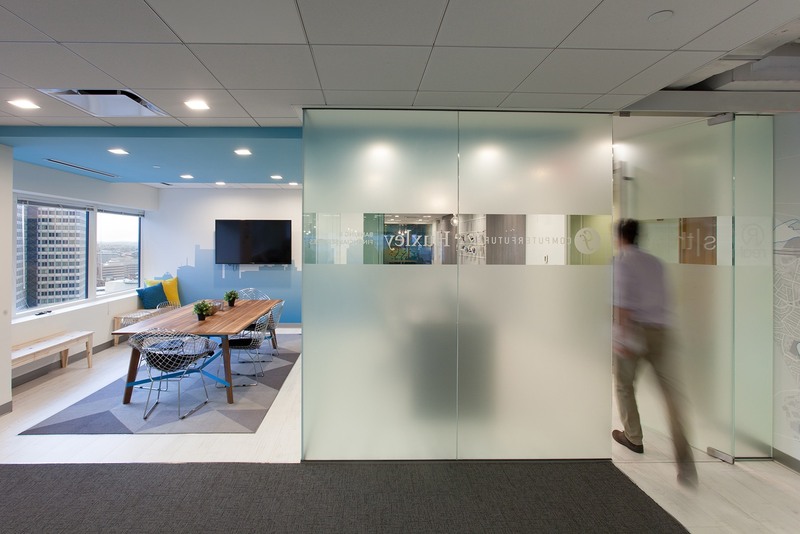 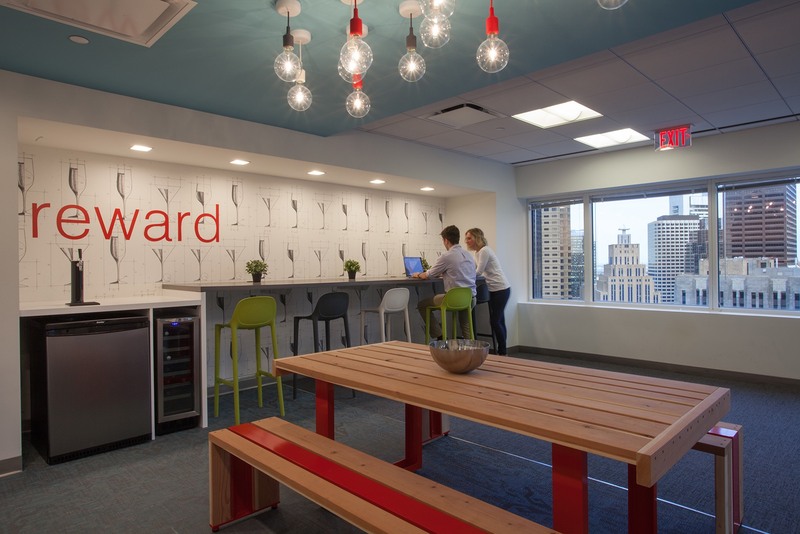 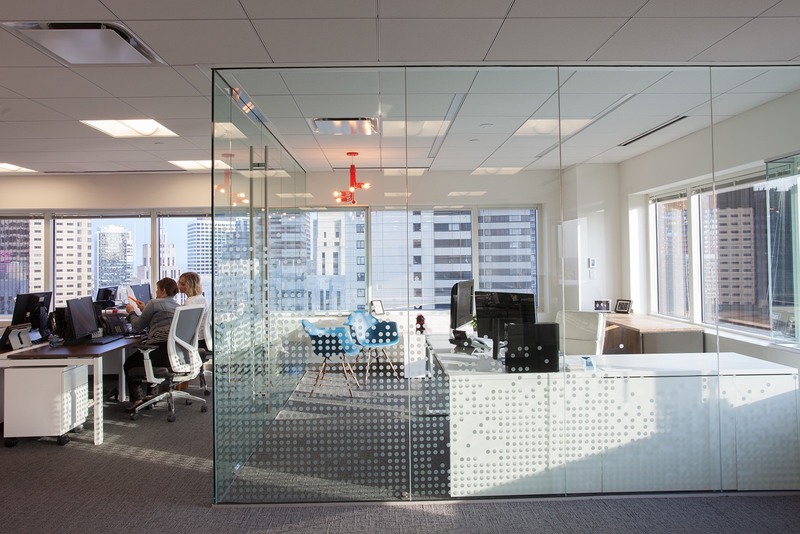 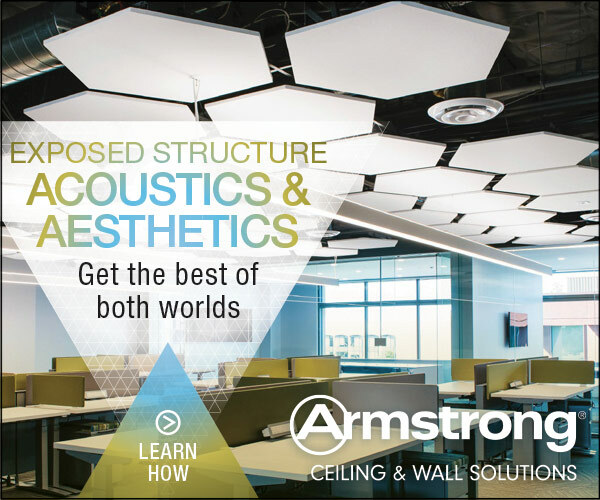 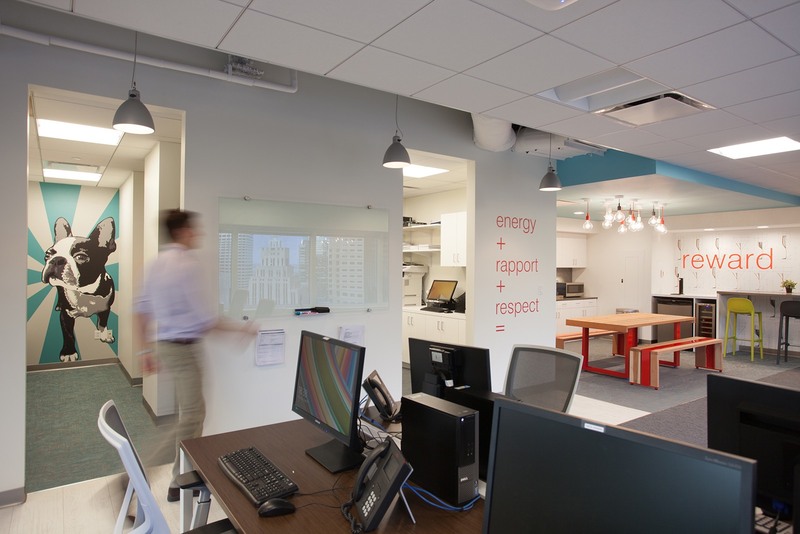 “Fusion worked closely with SThree to develop a new space for their Boston Tech Sales team. 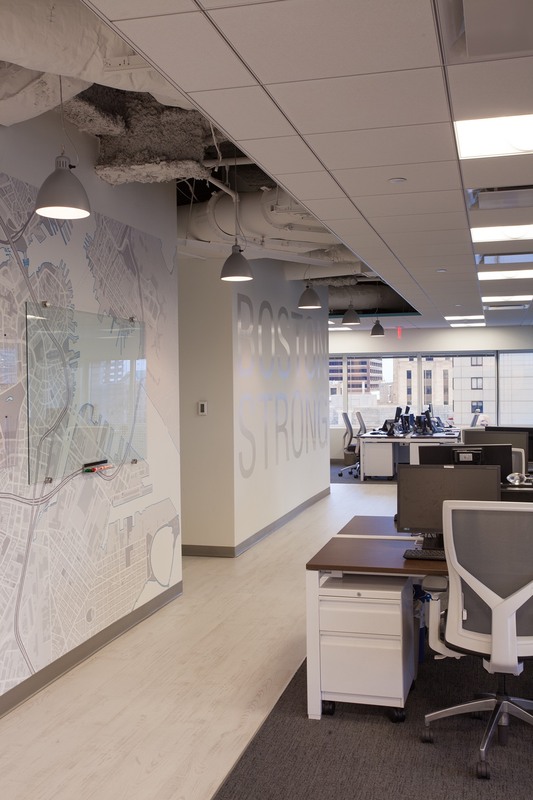 The space is filled with design that nods to the local culture; with everything from a larger than life Boston Terrier wall graphic in the locker room to the Boston skyline that wraps around the meeting room glass walls. 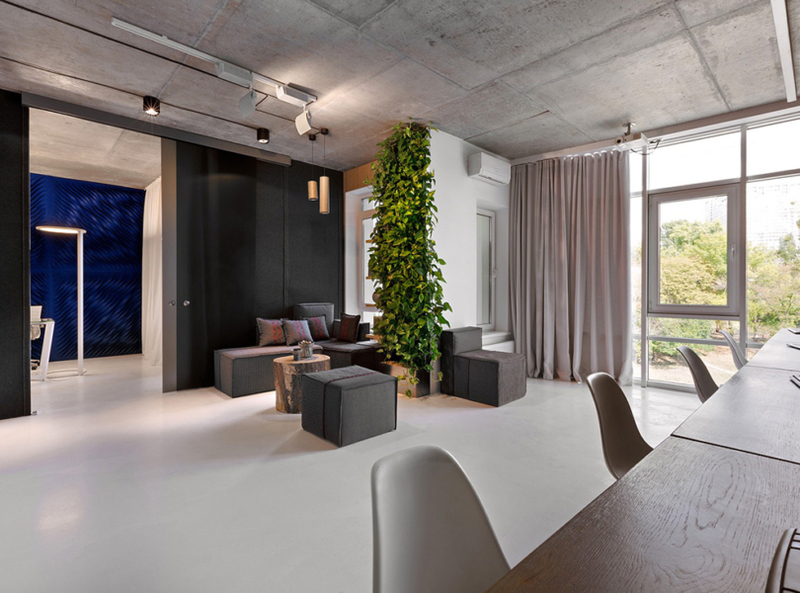 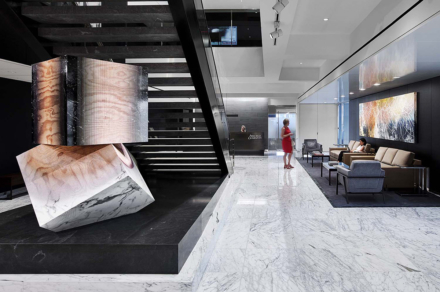 It was also important for the client to recognize London as their headquarters. 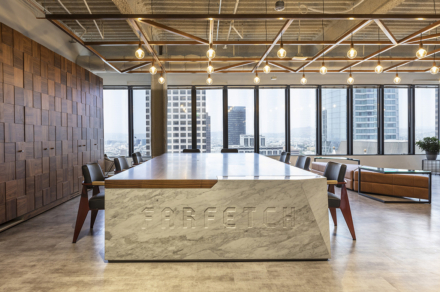 In the boardroom, teapot pendants were used as a whimsical nod to the company’s hometown. 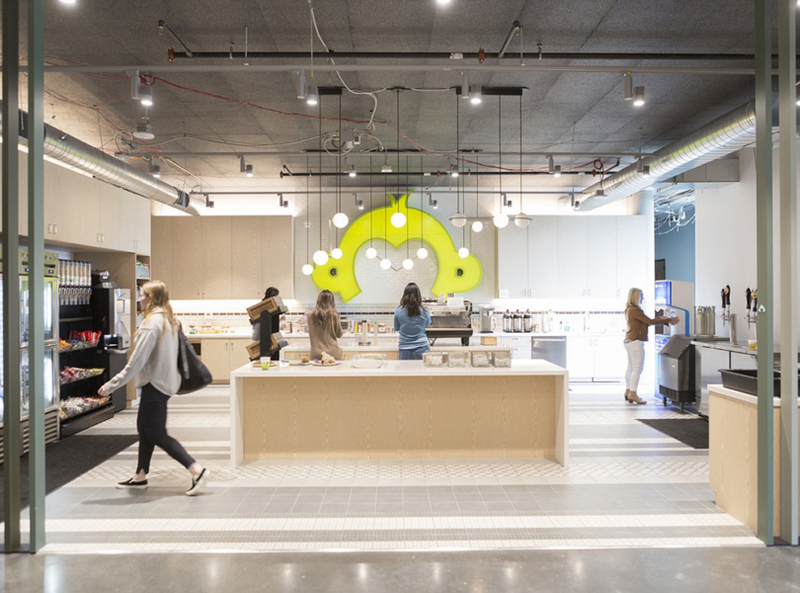 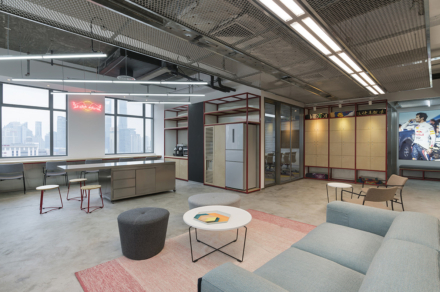 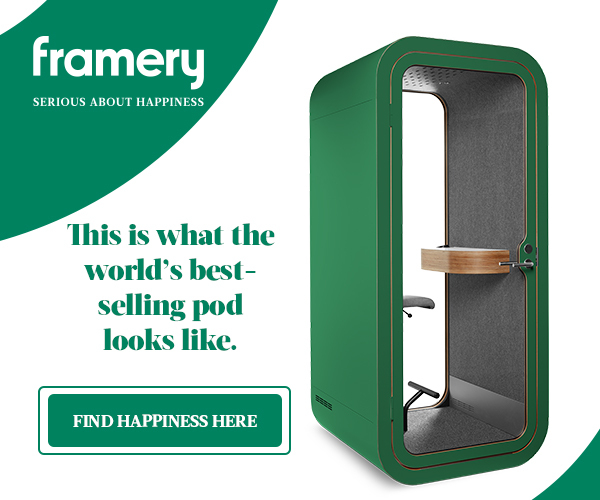 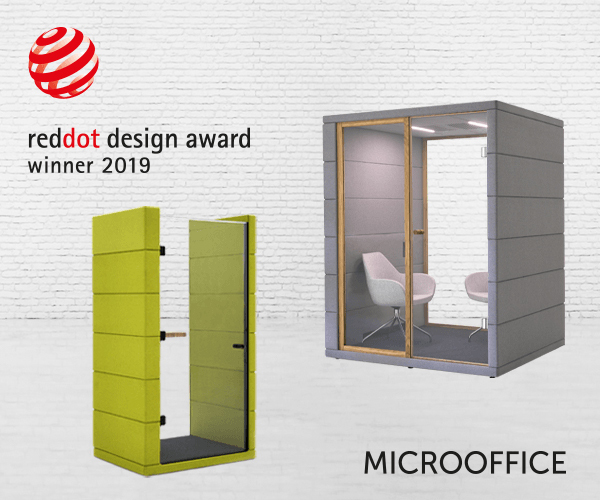 The result is an eclectic mix of Boston and London, built specifically for the energetic, growing sales team,” said Fusion Design Consultants, Inc.